A wall of victims in the House of Terror museum in Budapest, Hungary. In our first meeting in Prague for this JetSet we began to lay a framework for helping the Sending Church begin the process of exegeting a different culture. For the central European region, this exegesis must include attention to the deep, long-lasting scars left from the Communist era. This reality translates into a number of unique issues including a pervasive lack of trust. While cognitively, this is not difficult to comprehend, information is often not enough to grasp the intensity of the issue and the resulting severity of the impact. To aid in better understanding the events that have shaped the Czech and Hungarian people, we spent a couple hours in the House of Terror in Budapest which recounted some of the horror that came through the Nazi and Soviet occupations. To give insight into some of the unbridled evil that men inflicted on others, we shot a brief interview with some immediate responses from a couple of trip participants. The church in Hungary was squelched during the Communist era. Several of her leaders sought to carry on to be a people of forgiveness and justice but the persecution and purges proved to take out many of the leaders. With the state so concerned about the power of this humility and others-focus that is to be characteristic of those identified with the name of Christ, the church’s response remains an example for us today. Even a post-Christian world will take notice and have to determine what to do with a church that will seek to be revolutionaries willing to return good for when evil is meted out by others and to be a voice and advocate for those that are without. It is a common push at the end of the year. Often church leaders are encouraging members to make their contributions by the end of the year in order to get their tax credit. But what if…? Sitting in a “missional business” that is hotel / hostel / restaurant here in Prague, some interesting questions came up at our table. What would happen to church planting in the U.S. if no tax credits were given to members for contributions? Businessman and JetSet participant Paul Mayfield shared that the normal tax benefit of the average person in the U.S. is a 30% realized return for contributions. If this incentive was removed, would it change the economics of church planting? Further, we discussed what would happen if other charities brought tax benefits to their donors while church contributions did not gain any value beyond itself. For those looking to help others but motivated by tax savings, contributions to nonprofits that were anything but a church would take priority. Is it possible that assumptions are made about church planting based on economic realities that may fit the exegesis of our tax structure but not the exegesis of our culture? As these tax benefits are not available in most European countries, the question of economics becomes either more or less important. But which is it? Does this lead toward setting up business as mission opportunities, tent-making or other possibilities? AND what would removing or downgrading the economic issues from church or gospel planting do to how we implement in these areas in a current known or future unknown context? Reflecting back a bit on the recent JetSet tour, I am posting some of the influences and expressions of the influenced from Paris and France. This post is part of a much larger subset of posts which I will list here soon as well as a smaller follow-on to the London edition of the same. Being is. Being is in-itself. Being is what it is. Everything has been figured out except how to live. God is absence. God is the solitude of man. Aglow from time spent recently in Cuba, a dear friend shared with me about some of the exciting things continuing to happen there in the midst of hunger, oppression, and persecution. Having just returned from his latest trip to the island, he shared about the abandon with which the believers are living their lives for the glory of the Most High. He had just concluded teaching a series of theological training modules in a Cuban city. He shared that 75 pastors and lay leaders from this city completed the extended course. These 75 pastors and lay leaders completed the theological training to continue providing leadership and to continue fulfilling their responsibilities. The work that had already begun in and through each one was to carry on to final completion some day in the future. My friend contrasted this with the completion of his theological training in the U.S. some years prior, where a large percentage of the graduates were hoping to find a place to serve, a position from which to lead. These were works that were to be started on some day in the future to then begin working toward a day of completion. I think there are lessons to be had here, but I am going to leave this fruit hanging on the tree for the reader to pick and sort. Years ago I read a book that I referred to as the 29th chapter of Acts–that was before I was aware of the Acts 29 network. A friend of mine reviewed The Heavenly Man recently. I gladly recommend the review and heartily recommend the book. So much in the book is unbelievable that I have asked some that I know who have lived and are networked in China about the book’s veracity. I have been told that not only is the book credible, but it is only a partial story of the innumerable things that God has done and is doing there today. There are so many things to learn here. One thing that I am reminded of connected with the theological education aspect (as referenced above) is a distinct curriculum. Mornings were spent memorizing the book of Matthew. The afternoons were spent learning how to escape including jumping out of 2 and 3-story windows. In the grocery store, a restaurant, the airplane, at church, at some time you just might have run into the deluge of questions that can comprise a young child. I have seen this used in two ways. One kid is working his “why.” His questions are used as challenges rather than as interrogative tools. Wise in his own eyes, this kid is asking mom or dad to justify the given instruction. To justify their ability to give the instruction. The second way to use the “why” is as a tool to learn. When a child comes and asks in earnest, “Why does the sun go down?” the parent would like to provide the right answer. Humility is a powerful thing to verbalize the lack of understanding of the learner and to motivate the adult to share at a level the child can understand. Yes, mom and dad and other caregivers tire of the constant barrage even when asked with humility in earnest, but…. Continuing with the Upstream Collective JetSet case study in Taiwan, it seems helpful to encourage us all, myself included, to be life-long learners in culture. (I am currently applying this stuff to my new culture in a city I have lived in years ago in the U.S.) While some of the areas have been touched on here this week in previous posts, I would like to offer some specific areas for formulating questions that will be helpful to ask yourself and often to voice to others–especially nationals in the culture. View these questions as a base of questions that are helpful as you participate in your understanding of culture and the process of narrative mapping (much of this is thanks to Thom Wolf). Geographical distinctions? – Taking notice of bodies of water and rivers is helpful. In Taiwan, you have both the East China Sea and the Taiwan Strait. What role have these played in history? Religion on the island is distinct from that in mainland China. These large water boundaries have made it possible for Chinese folk beliefs to be close enough to cross over, but far enough to not be as impacted through the Cultural Revolution. What is the significance of the Keelung and Xindian Rivers in the history and culture of the city? Other geographical distinctions may include major intersections of roads or railways; boundaries; and physical landmarks. Mosaic of the land? – Seeing urban centers as collections of groups of people should help provide understanding of a city. In Taipei, there is a breakdown of cities and townships within the city. Are these representative of different classes or ethnicities or moralities of people? Does each city or township break down into further subsets? How do these groupings of people or villages look as it relates to socioeconomic status? How do these different groupings live life? Form relationships? Celebrate holidays and special events? Meaning? – What is the religion of each people group? How did this religion come here? What is of great importance to the various people groupings? Is there anything that this people treasure so deeply that they are willing to live for it? Teach their children about it? Die for it? What churches (may include religious buildings and/or groups meeting) exist in the area? Going into and participating in a culture as a humble learner is invaluable. Humble, as a child, the missionary will do well to ask questions while trying to understand culture and find ways to contextually share the gospel with the lost. This couple understood and embraced the need to begin to understand the local culture even in a state of sleep deprivation. When arriving in a new culture, people would do well to seek to be a student of what is happening in the environment around them. Do people talk? If so, who is talking and to whom? At what volume do conversations happen? Do locals make eye contact with others? If eye contact is made, is it with both genders? Are people smiling? Do they touch each other? How much personal space do they allow? Is the amount of personal space different in public transport systems? Through simple observation, what can you learn about their social interactions, history, religion, etc.? Be an experiential student of the local culture. Use all five senses to begin to understand your new surroundings. This is a honeymoon period. If a person stays in another culture long enough (often ranges from 1 to 18 months, though I have seen this happen in just a couple days), the honeymoon will pass. (This is another conversation for another day…not during this Upstream honeymoon trip.) During this time, seek to enjoy and acknowledge appropriately the things you observe and experience. Participate. Learn. Savor. Don’t complain. Don’t seek to fix things. Be a gracious visitor while being an ardent learner. Some of the best advice I have heard for short-term partners and people starting a long-term commitment comes from a friend of mine that has been to many countries with groups. He shares with each group that there are 2 rules for his groups. First, no whiners. Second, semper gumbi (always flexible). These two rules work pretty well for allowing someone to put their preferences and expectations aside to be a learner that embraces the experience. I have seen people be challenged in a cross-cultural setting when a Coke is served warm with no ice or perhaps with only a cube or two. When coming from a car for every person and a person for every car culture, adapting to a lot of walking and crowded public transportation can be challenging. On the Upstream Collective JetSet vision tour happening right now in Taiwan, the guys shared about an Idols-R-Us shop where you go to select and purchase your own scary little idol. As observers, we could enter an experience like this feeling condemnation for the shop and everyone that would participate in such a practice. But to learn about their beliefs and rituals and how those have come to be will go much farther in beginning to contextualize the gospel for the lost. Compassion for the lost at such a difficult juncture will help to build bridges for the gospel. At this point, I would like to ask my honeymooning Upstream Collective coffee-loving friends…How’s the tea? Where there is persecution for following Christ, the church thrives. This is evident from the first diaspora until today in nations that are the remnant of Communist ideology. In an interview Ed Stetzer conducted yesterday on Upstream Collective’s JetSet Vision Trip in Taipei, Pastor Chen states that in 1966 there were 600,000 Christians in mainland China. Mao Tse Tung expected this number to disappear with the Cultural Revolution. Instead, the number of believers on the mainland has and is growing at an astronomical rate–this has been projected at 30,000 per day just a few years ago–and numbers in the millions of believers today (for a better understanding of the movement here, I heartily recommend The Heavenly Man). Meanwhile, in Taiwan, the church today counts 5% as Christian if the Catholic church is included. Statistics in my last post point to numbers even lower than this. With a much greater openness to all things western and freedom to worship, the church has had only incremental growth. Seeking to reach out to their community, the church in Taipei is seeking to meet needs and engaging their community through creative ways such as a bluegrass concert. Counterintuitively, persecution causes the church to rise up. Freedom and lack of oppression lead to a lack of explosive, viral growth and moves toward incremental movement up (or down). When lacking in effective external factors (e.g. persecution), then the church would do well to be on a mission greater than itself–consistent with the Commission of Christ. This mission can and does include living with our “eyes wide open” according to McManus. Of course social ministry and cross-cultural missions fit the bill here. One great expression of this zest for life and desire to impact the lives of others can be found in bluegrass music. This has effectively gathered crowds of people in countries from Spain to Russia. It is emblematic, I believe, of how a non-Christian society can be engaged by a people that love life. As followers of Christ, our lives have been changed. The joy that He brings to our life should translate to every aspect of our lives so that we are contagious people. BTW – I am still planning to move forward with the case study in upcoming posts, just wanted to share these thoughts today. So excited to be away together celebrating our one year anniversary, my wife and I hurriedly threw some clothes in a suitcase after yet another day’s work. Broke and in love, we didn’t need much to be happy. At least we didn’t think we needed much…. Our destination was Williamsburg, VA. Our first day we had a nice time though it was a touch cool for us in our shorts and t-shirts. Frigid was a better description for the next day. The temperature had dropped more than 20 degrees while being accented by a constant drizzle. Though our budget didn’t have much discretionary capacity, we bought one William and Mary sweatsuit. Based on which extremities were the most numb we decided who wore sweatpants with a t-shirt or shorts with a sweatshirt. In today’s internet-laced developed world, checking the weather is a given. However, there are a number of other things that would be helpful to know. This week, some friends from the Upstream Collective are leading some U.S. pastors on a Jet Set tour in Taiwan. 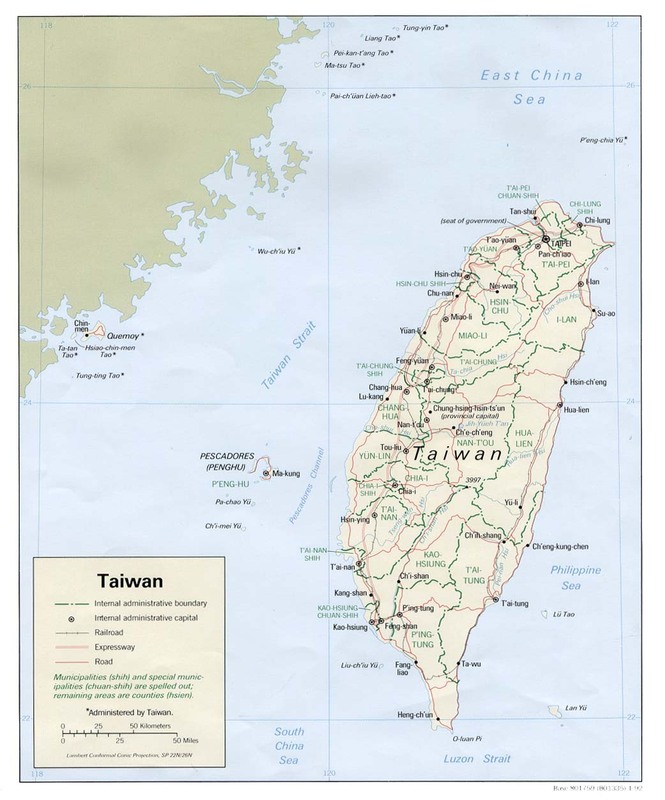 I will be posting frequently this week with some how-to topics using Taipei as a case-based scenario for preparing and participating in mission. Here are some areas for research and some links (not exhaustive). Feel free to participate using this case study as an interactive group learning experience. (Yes, I look forward to learning along the way too.) In the next post, we’ll look at next step items. Any info here that you found most helpful? Other suggestions for links / types of links?